Make the most out of your Cabo San Lucas adventure by prepping yourself with these 5 Cabo Travel Tips you need to know before jetting off to Mexico! Visiting Cabo? This is the guide for you. Here, our travel experts at Cabo Adventures cover 5 travel tips that everyone should know. 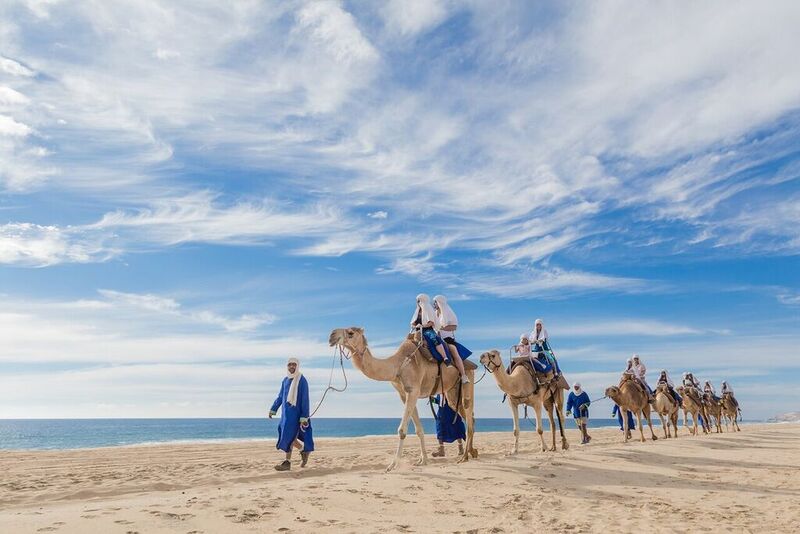 Read on to learn more, and book your Cabo activities with our award-winning tour team today! The first thing all travelers should know when visiting Cabo is that there are, in fact, two Cabos. The “two Cabos” are sister cities located several minutes from one another, each with their own characteristics, cultures, and things to do. The most widely known is Cabo San Lucas, the resort town located at the southernmost tip of Baja California. Just north of Cabo San Lucas is San Jose del Cabo, the region’s older, more residential town. Unlike Cabo San Lucas, which is filled with hotels, resorts, and tourist attractions, San Jose del Cabo has older buildings, more residential districts, and several cultural hotspots. While hospitality can be found in both Cabos, you’ll want to establish which one better suits your itinerary before booking. Aside from where to book, knowing when to book is important for any trip to Cabo. Factors involved in choosing the perfect trip time include prices, weather, and other environmental considerations. The most popular time to travel to Cabo is during the winter and early spring, though this is also when prices are at their highest. Cabo can also be crowded (and hot) during the summer months. In the autumn, when there are fewer people and lower prices, there is also the increased chance of rainfall. If you’re trying to go whale watching, the only time to visit is from November to December. If whales aren’t on your radar and you’re looking for low prices and great weather, we recommend scheduling your visit in either May or June, after the crowds and before the heat. As a coastal city near the equator, Cabo has ocean waters and sunlight to spare. Both can cause difficulties for travelers that don’t come prepared. 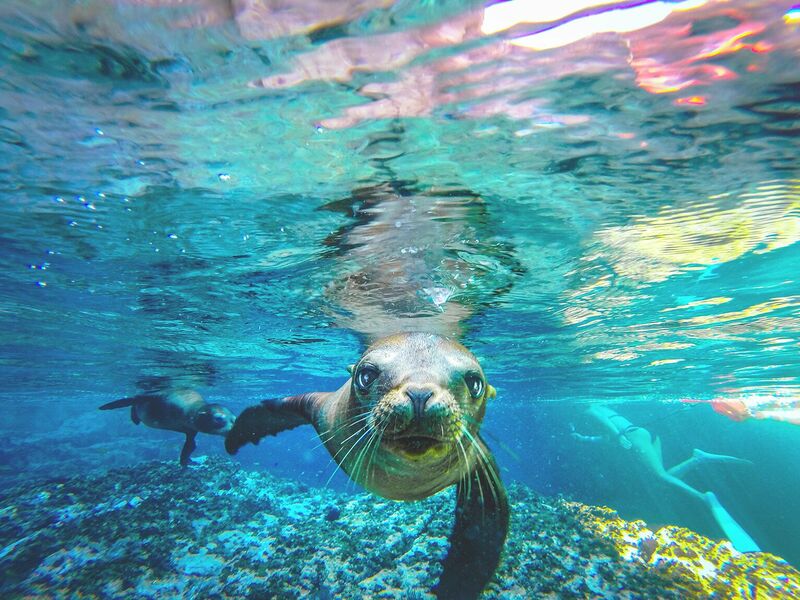 Knowing how to swim is essential for any Cabo visit. Listening to lifeguards and staying clear of dangerous waters will help keep you safe during beach visits. Check the tides and weather report before going swimming, and always heed posted signs near the beach. As far the sun is concerned, you’ll want pack ample sunscreen and clothes designed for outdoor excursions. Make sure your sunscreen is waterproof — otherwise it will be virtually useless at the beach. When traveling to Cabo or anywhere in Mexico, you’ll want to be sure to manage your money properly so you have enough to spend and never spend more than you have to. This starts by knowing when to exchange your U.S. dollars for pesos. Check the exchange rate before traveling: it’s a good idea to hold on to your US dollars if the exchange rate is 10 pesos or fewer to the dollar. If the exchange rate is more than 10 pesos to the dollar, you’ll want to withdraw pesos from an ATM and use them instead. U.S. dollars are also widely accepted in Cabo, but try not to carry too much cash on your person. You should also pack your credit and debit cards to be safe, but don’t rely on them. Many places in Cabo do not accept credit or debit cards. Traveling to and from Mexico will require you to have a Tourist Card (FMT). You can obtain your Tourist Card at the airport, provided you have proof of citizenship. Forms of accepted proof of citizenship include passports, voter’s registration cards, naturalization papers, or notarized affidavits of citizenship. Having a photo ID on your person will speed the process along. (Tip: A passport can serve as both proof of citizenship and photo ID.) Be sure to save the copy of the Tourist Card that is returned to you, as you will need it when leaving Mexico. Interested in learning more about traveling to Cabo? Want to book exceptional Cabo tours at great rates? Our team at Cancun Adventures is here to help. Explore our website to learn more about the many great Cabo tours we offer, and contact us for booking and travel information.